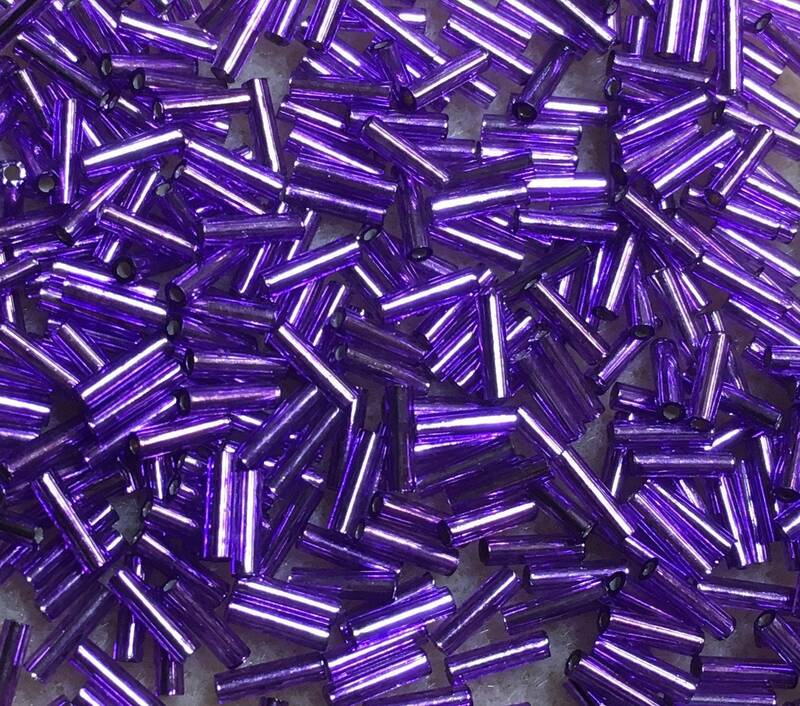 6mm Silverlined Violet Japanese glass bugle beads, size 2. Bugle beads are cylindrical tube beads. They add beautiful accent in your bead weaving, stringing, and bead embroidery projects. Use them to add dimension, texture and interest to your beadwork. Paired with seed beads they are often used as fringe. Great seller! Fast shipping, great price for the amount you're getting. Thank you!